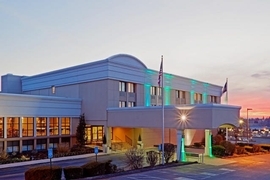 Our Park Snooze and Fly Package includes 2 weeks of free parking at the hotel near Harrisburg International Airport while you're enjoying vacation and a one night's stay at Red Lion Hotel Harrisburg East the night before your flight. Alternatively, we can provide hotel accommodations on the night of your return. Lastly, shuttle transfers will be provided to Harrisburg International Airport when you depart and transfer you back to Red Lion Hotel Harrisburg East upon your return so you may get your vehicle. If you have a late landing, staying the night of your return is also an option. You can take advantage of parking your car at the hotel prior to your flight and getting well rested at the hotel the night of your return. Our Park Snooze and Fly Packages are an excellent way to make airport parking convenient and affordable. 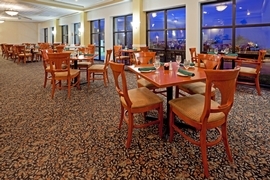 The Red Lion Hotel Harrisburg East allows late arrival check-in so you know your room will be ready even if you have a late landing. If you need more parking than the included free parking at the Red Lion Hotel Harrisburg East, you may extend the parking duration for an additional fee of (10.00 Per Additional Day) paid to the hotel. 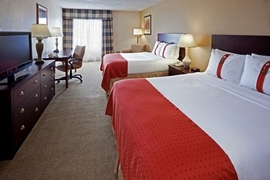 The Red Lion Hotel is a chain that started in 1959 and offers a warm welcome to the weary traveler. Whether you're traveling for business or pleasure, you'll enjoy this hotel's friendly service and comfortable accommodations. One unique feature about this hotel is that it specifically prides itself on having local knowledge of the area. Ask the staff of the Red Lion about its surroundings and you'll be sure to encounter well-informed answers. You'll find out secrets to the best local restaurants, shopping, and attractions nearby! 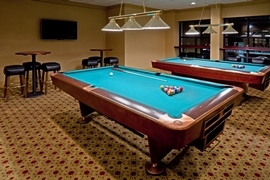 Suddenly your stay isn't just about a cost-effective pre-night near an airport. It's the beginning of a new experience! 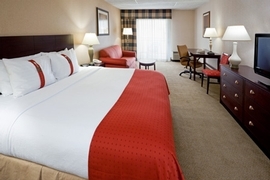 Click here to see all of our Red Lion Hotel hotels which we offer in alternate cities. Courtesy Phone Details: Clients must contact hotel at: 717-939-7841 for their return transfer. Pet Friendly - Yes - Restrictions and fees apply.